Before heading west and leaving Indiana, we had two more short visits we wanted to make. 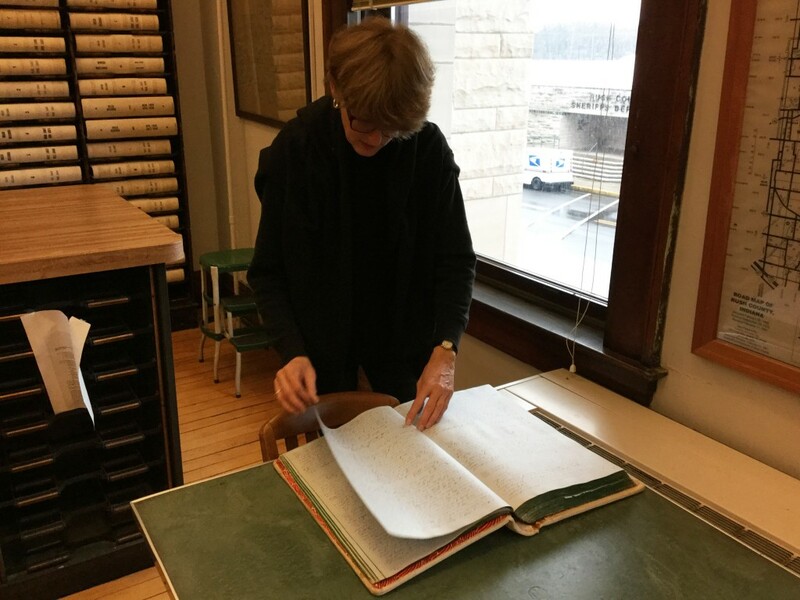 First, a stop off at the Rush County Historical Museum and second, another visit to the Rush County Courthouse to look for any land “Deed Records” from Arnold Murray – who bought the Indiana land in 1821. Then over to the courthouse. 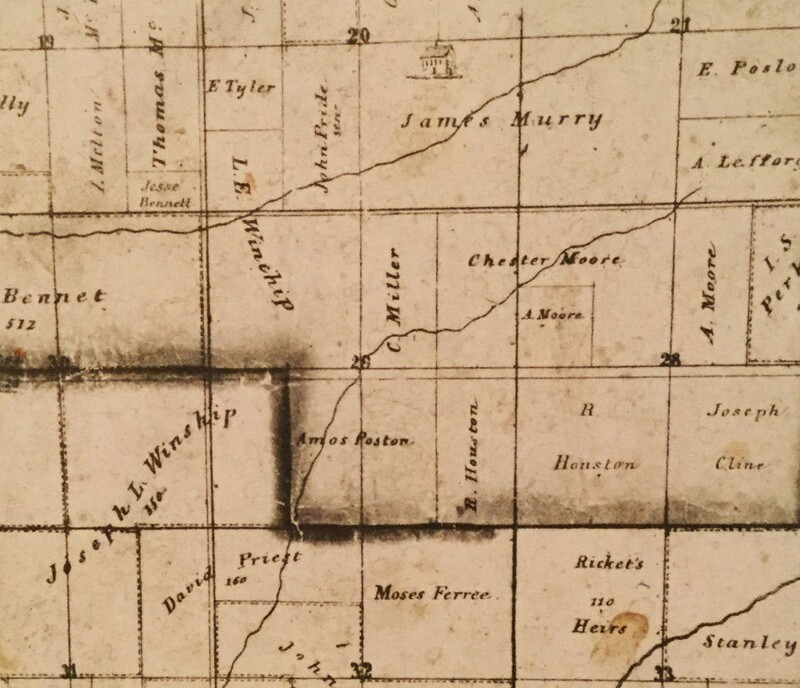 Our first efforts were to see if we could find a recording of the initial purchase of the land by Arnold Murray in 1821, but the books started in 1822. 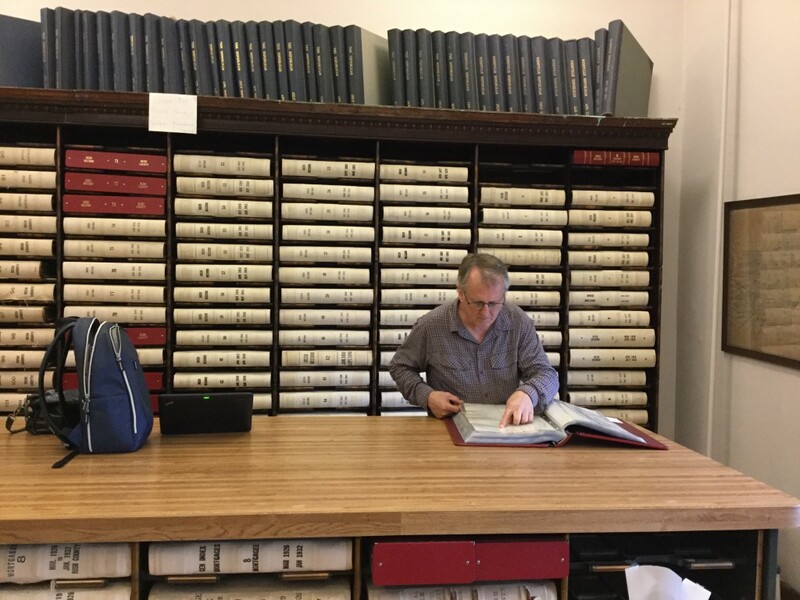 From the photo here, you can see the huge number of volumes we had at our disposal – and could be here months combing through the books. I believe it was destiny that the first book Don picked up just so happen be an index to the land deed recording the transfer of the Arnold Murray property to James. So, while we didn’t find the original purchase, this find was just as exciting. The index subsequently led us to the hand-written recording from January 29, 1852, and it detailed the legal transfer of property from James’ brothers and sisters to him upon the death of their father, Arnold Murray (from Maine). As we headed out the door, we had one more item to find – a plaque listing the men of Rush County who were Revolutionary War soldiers. That was where we found George Brown (our G5 grandfather). A great conversation with a County Courthouse police officer chatting about our find – and his sharing of his name displayed along with other Vietnam Vets from Rush County was a great sendoff from Indiana. Sleuths to the hilt! I wish I could sleuth with you guys. Keep up the great work as I know that we all love hearing what you are discovering! so what was the impetus to go from Maine to Indiana? business, adventure, a mysterious woman? Great talking you both. Sounds like such a great trip.